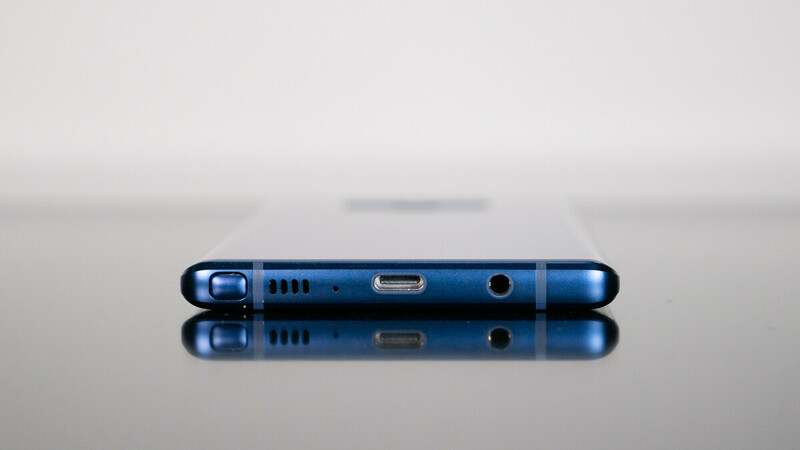 Although Samsung is usually at the forefront of new smartphone trends, the South Korean giant is one of just a few companies that continues to include the 3.5mm headphone jack on its devices. But next year, almost three years after Apple axed the feature, it seems Samsung may finally follow suit. Before getting too worried, it’s worth noting that the Galaxy S10 series is still expected to retain the popular feature. Instead, according to sources within the supply chain, Samsung is looking into removing the feature on next year’s fall flagship. As the Galaxy Note 10 is still around 10 months away, there is no guarantee that the feature will be missing. However, it is claimed that the feature will definitely be axed in the near future. Right now, it’s simply a matter of Samsung choosing between the Galaxy Note 10 or 2020’s Galaxy S11. Interestingly, the reason behind Samsung’s controversial decision still remains unclear. However, with the company expected to continue pushing its range of wireless audio products next year with the launch of the Samsung Buds, the removal of the headphone jack could potentially lead of an increase in sales for that type of accessory. Additionally, the move may allow Samsung to increase the battery capacity of its smartphones, as seen with the upcoming OnePlus 6T. Ultimately, the eventual removal of the headphone jack was inevitable so the news doesn’t exactly come as a surprise. However, Samsung certainly deserves kudos for keeping the feature around for so long, unlike other competing brands which simply followed in Apple’s footsteps. You guys literally said the same thing every year, starting from S8, lol..https://www.phonearena.com/news/Samsung-Galaxy-S8-no-3.5mm-jack-fingerprint-embedded-in-display-ditches-PenTile-display_id88699https://www.phonearena.com/news/New-Galaxy-S9-leaks-no-headphone-jack_id99360 Got wrong twice, but third is a charm right? lol.. The keyword in my title is "could." Also, while I wasn't working at this site when those other articles were published, a quick check of the source link in each will tell you that we didn't say anything. We simply informed readers about what the latest reports were saying. As is the case this time. They will, as usual Samsung always copies Apple in the end! They protest like a little dog at first and then eventually give in and play fetch. Everybody copies everybody just like Apple copied everyone else also and Apple didn't start the trend. Eventually all smartphones was going to take away the headphone jack. Not really, everyone said Apple was crazy for doing it and now they follow like little lost sheep. Samsung will be here long after you are dead and buried 6-feet underground, don't worry little kid. They have billions, you have nothing. This isn't about me, this is about Apple and Samsung. I can't begin to understand how you Android fans can be so stupid. It's so stupid it also makes me laugh! Anyway, Apple is one of the worlds most valuable companies and Samsung can't even touch Apple. Erm ok then. You just got really weird which makes me thing that you like doing. I mean if you like doing that then I'm not going to judge, but there is no need to announce it kid! Wow!! The reason you can't understand how others can be so stupid is because you're actually the stupid one, too stupid to realize you're stupid. Samsung has been out innovating Apple for five plus years, and nobody has done more copying in the smartphone world than Apple. Ignorance (in the RDF) is bliss. They aren't copying Apple because Apple didn't even do it first. But you know that already Flash. Amazing how people who troll on purpose and admit to it never get banned. But people who talk sense always do. Such a biased website. I can't talk for the website but I will say that all phone manufacturer have copied Apple, if it wasn't for the original iPhone they would still have numerical keypads! Personally I don't use the 3.5mm headphone jack so it does not bother me but they should not remove this feature and lose customers who does use it. The Note series was meant to be the jack of all trade tool which I have been using since the note 1 to 9. My only gripe is Samsung have remove the IR blaster which I use a lot as a TV remote controller. Now I have to search for that remote controller from time to time which is a PITA. They need to remove it to copy Apple. That is all they do and the only thing they are half decent at. I'm tired of forgetting to charge my wireless earphones. i got used to it. i use to use earphones but stopped a while ago due uncomfortably while working out. i do like using the headphone jack when i forget to charge or long flights though. Don't do it! Please don't ditch the audio jack and don't put a notch on the screen. Those are the two main reasons why a lot of people are still buying your phones. If those two things are missing I will probably go with another Android brand. Samsung always copies Apple in the end, at first protest like a little dog at first and then eventually give in and play fetch. They should just give in and stop making phones all together. Get off it, bro. Apple wasn't even the first company to do it. They where the first major company to do it. When anyone else does, no one cares soo its Apple that really matters. Apple copied the big phone, just like they copy everything else Samsung does. It doesn't matter how many times you repeat the lie, it's still a lie, Lil Donald. Eventually, all OEMs are going to remove the headphone jack. I just hope that when Samsung does it, put a pair of Bluetooth headphones in the box. I mean, if these companies are pushing for a wireless future as they claim, then why give us wired headphones?